Note: This Complete C2 Limited Ed is not longer available, the newer model is available here. Among all the Miele range of vacuum cleaner, the Miele Complete C2 Limited Edition is one of the cheapest yet reliable canister vacuums. It’s packed with high-end features that are comparable to other similar range of vacuums. You can use the cleaner to effectively clean low pile carpets, area rugs, and all your home hard floors (includes wood, tile, marble, etc). The low pile rugs are considered to be less than 1/4″ and have a relatively flat appearance. Usually, the medium pile heights are ranging from 1/4″ to 1/2″. In this article, you will see some of the great features of Miele Complete C2 LE and comparison reviews on C3 model. Of course you can read many vacuum models available on the homepage of this site. 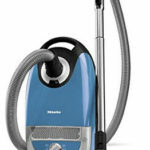 Check out the Miele Complete C2 Limited Edition Canister Vacuum at Amazon.com Now! 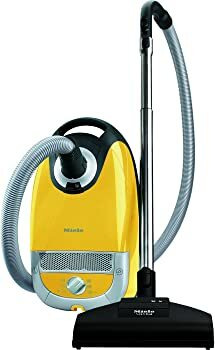 Since all the features of Miele complete C3 and C2 limited edition are pretty same except for two clear differences, we are not going to do a full review on this Complete C2 LE. You can read the details review of Miele Complete C3 limited edition available on this site. Low noise canister with average weight construction. Use STB 205-3 Air Driven Turbo comfort brush for carpet and area rugs. Use SBD 285-3 Combination Floor tool for hard floors and area rugs. Ergonomic handle with an integrated metal strip. The Telescopic stainless steel wand can be adjusted to match your individual stature. Tool storage on inside of the machine integrated under the hood. It has three wheels (castles) which turn a full 360° and prevent scratches on furniture’s/floors when moving. 1-year parts and labor warranty; 7-year housing and motor warranty. The speed settings control for Miele Complete C3 limited edition is using the +/- footswitch pedals while the C2 limited edition is using the rotary dial. The maximum operation radius for Miele Complete C3 is 36’ while the C2 edition has shorter cord and it can reach the max of 33 foot. The body color of C3 LE is green while the C2 model is yellow. The different cost between Miele Complete C2 and the C3 limited edition is about $50. The C2 model are slightly cheaper with more or less equivalent features. 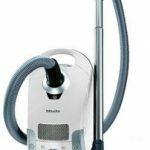 The Miele Complete C2 Limited Edition canister vacuum comes with its own advantages and disadvantages. Of course like other Miele cleaners, it has more pluses over the drawbacks. You can easily get the unit setup (assembly). 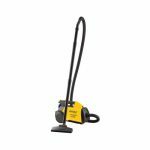 Strong suction as it’s power with 1200-watt Vortex motor and tight seal housing provide excellent air flow of the cleaner. The silent operation of this vacuum let you do the house cleaning anytime. To switch the cleaning between hard floors to carpets, simply press of a button. The stainless steel telescopic wands and hose; let you connect with other attachments to clean larger-sized rooms or use the cleaner without straining your back. The 2 floor heads plus 3 accessories let you do the cleaning anywhere effortlessly. The motor ramps up slowly and it prevent the cleaner from overheating. With an overall cleaning radius of 33 feet, you can easily clean a normal room without having to unplug and start over. Received many great reviews from real customers that are available on major online retailers or Miele authorized dealer sites. The C2 Limited edition did not come with the HEPA filter, but you can purchase a filter separately to replace the standard AirClean filter. You need to turn the knob to adjust the power settings. There is no filter change indicator. Only available while supplies last (since it’s limited edition). Needs to clean mostly hard floors and low-pile carpet in their home. Wants a high-quality system at very affordable price. Lowest Miele Price Available! To be honest, this is one of the lowest prices that you can found on all the Miele range of canisters. As this vacuum is a limited edition, take advantage of this affordable Miele C2 canister vacuum now before it goes off the market! If you’re wondering where to get the cleaner, you can get it at major online stores but I found that Amazon is a trusted store and it also provide free shipping.